In Lima, Peru, construction for an elevated railway remained incomplete for over 25 years. It was not until 2010 that the infrastructure space was reclaimed by the local community. The project, called RUS, was facilitated by the Madrid, Spain artist collective Basurama with funding from the Spanish Agency for International Development Aid. As part of its multidisciplinary placemaking strategy, Basurama also collaborated with other Limean groups like El Grupo CHOLO (social activists), El Carton (architecture students), and El Codo (plastics artists). 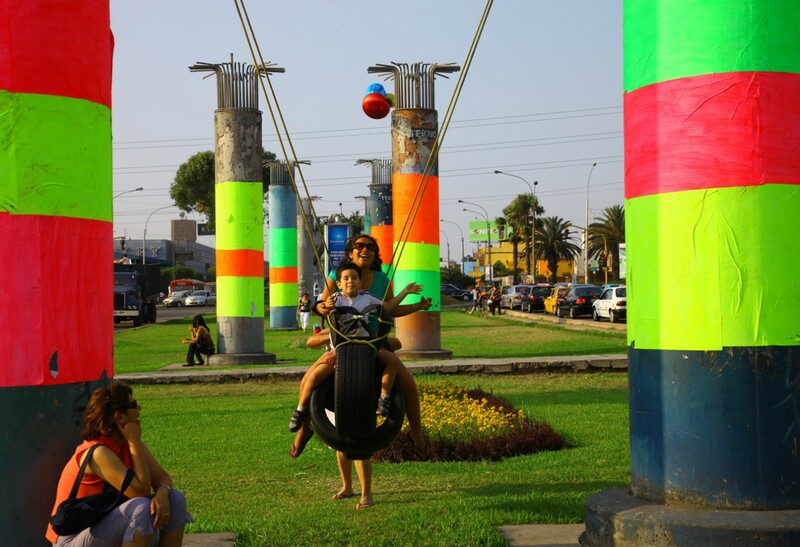 Together, these groups transformed the space underneath and around the elevated railway into a brightly colored amusement park with swings, climbing areas, and spaces for relaxation. 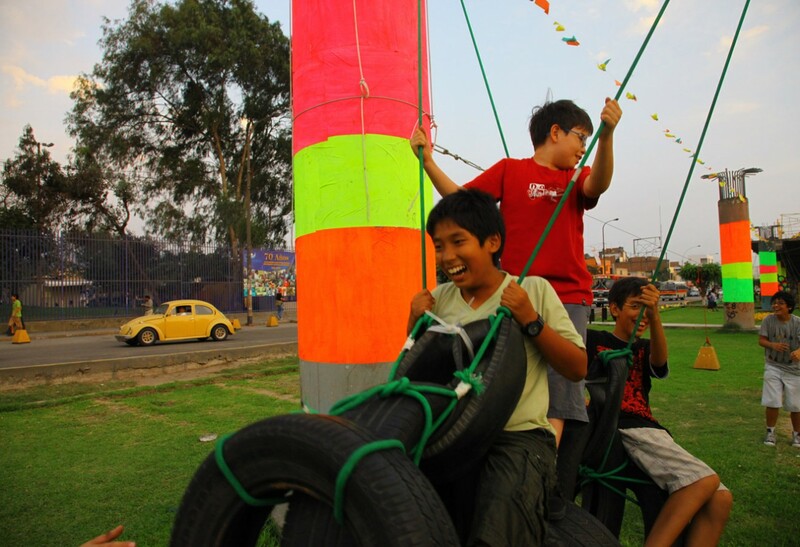 Working on a tight budget, organizers made use of recycled materials, such as tires and ropes, and brightened the structures using paint. The space became a place of fun and recreation – especially for children, for whom there are few available public spaces in the region. Unfortunately, RUS lasted only two weeks before it was taken down by the municipality who, after decades, resumed construction on the railway. 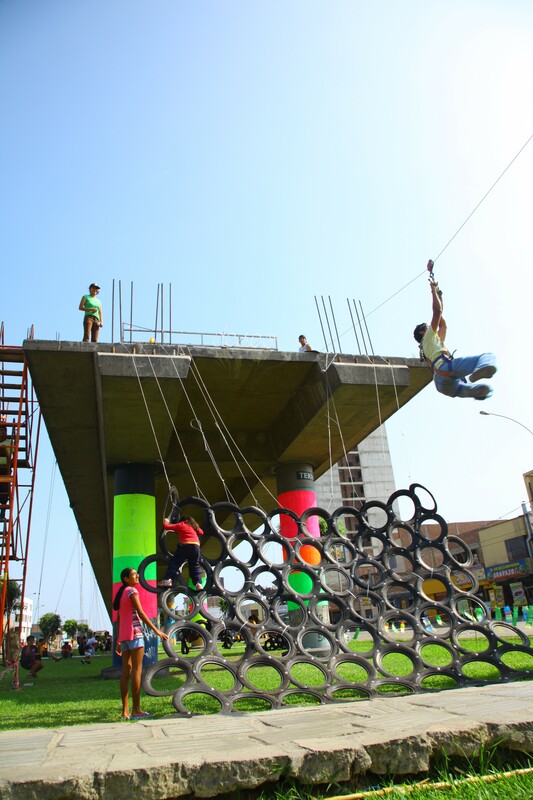 While this was disappointing to many, especially the users of this much needed play space, RUS inspired several similar initiatives across Peru, such as Parques Autoarmable, which helped continue the trend of community-driven interventions to activate “not just space, but consciences”. 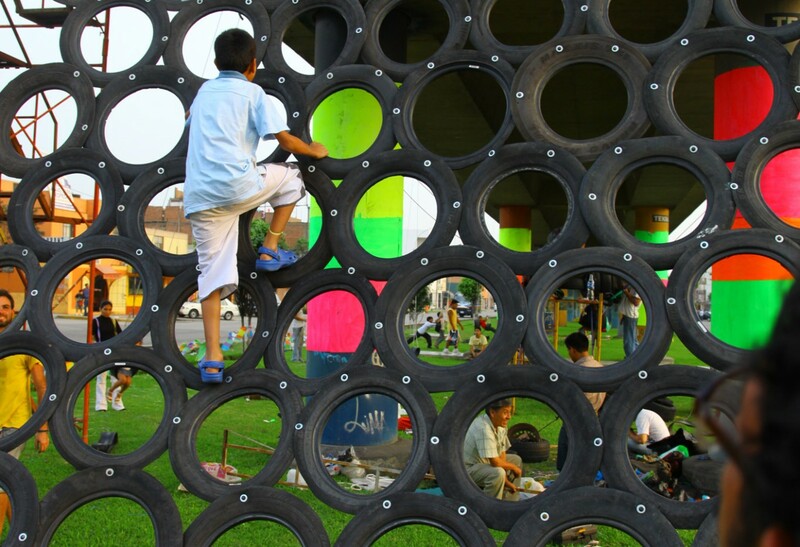 RUS playground used primarily recycled materials such as car tires. Other materials used were low-cost like paint and rope. The playground existed for two weeks.